My article Is there any point of the PM's China visit? is posted in Rediff.com. The Fifth India-China Strategic Dialogue was held in Delhi earlier this year. While some progress is said to have been made in narrowing the ever-growing trade (im)balance in favour of China, Beijing remained stuck on its position on the border issue as well as on a possible collaboration on the Brahmaputra and other trans-border rivers. Well, this has not stopped the Chinese from intruding into India's territory. Foreign Secretary Sujatha Singh and her Chinese counterpart Vice Foreign Minister Liu Zhenmin (who served many years as Director-General, Department of Treaty and Law in China's ministry of foreign affairs) wanted to finalise a fresh Border Defence Cooperation Agreement, BDCA. At a time the Chinese regularly try to create trouble on the Line of Actual Control, can a new agreement be more efficient than the previous ones of 1993, 1996, 2005 and 2012?. The situation in Nagchu Prefecture in Tibet is very serious. The Chinese authorities seem unable to control the 'masses'. The report from the Tibetan Centre for Human Rights and Democracy (TCHRD) mentions that Tibetan Autonomous Region's Executive Deputy Party Secretary Wu Yingjie, accompanied by Nagchu Prefecture Party Secretary Dorthok [Dothog] had been seen in Nagchu Prefecture. In fact, they have been camping for weeks in the area. Wu Yingjie, a Han Chinese has 39 years of experience in Tibet. The fact that the Central Leadership has to depute Wu for a long period of time to Nagchu to explain the 'massline' theory to the local population means the situation is seriously out of control. TCHRD says: "On 28 September 2013 when more than 1000 Tibetans staged a 24-hour hunger strike in front of the County government office calling for the release of 40 Tibetans who had been detained for protesting the crackdown in Mowa Village. Sources told TCHRD that the young writer [Tsultrim Gyaltsen] openly asked questions and cited Chinese legal provisions in criticising the violent crackdown in Diru County. Sources quote local eyewitnesses as saying that Wu and Dothog did not react negatively, instead they pretended to commiserate with him. His sudden arrest a few days later has caught everyone close to him by surprise." It appears that even an experienced apparatchik like Wu, who probably understand and speak some Tibetan, is unable to stop demonstrations. China's security czar, Minister of the Public Security Guo Shengkun had to fly from Beijing to Lhasa to take stock of the latest happenings. During his visit (announced on October 10, after his return to Beijing), Guo called "for efforts to ensure long-term stability of the Tibet Autonomous Region in order to guarantee the region's leapfrog economic development." Guo is also one of the five State Councilors in the Chinese Cabinet. According to Xinhua, Guo "inspected police stations to check on the work of police patrols, how criminal and non-criminal reports were resolved, fire fighting and public service." He advised cadres to "solve peoples' problems and mobilize the public to safeguard social security." 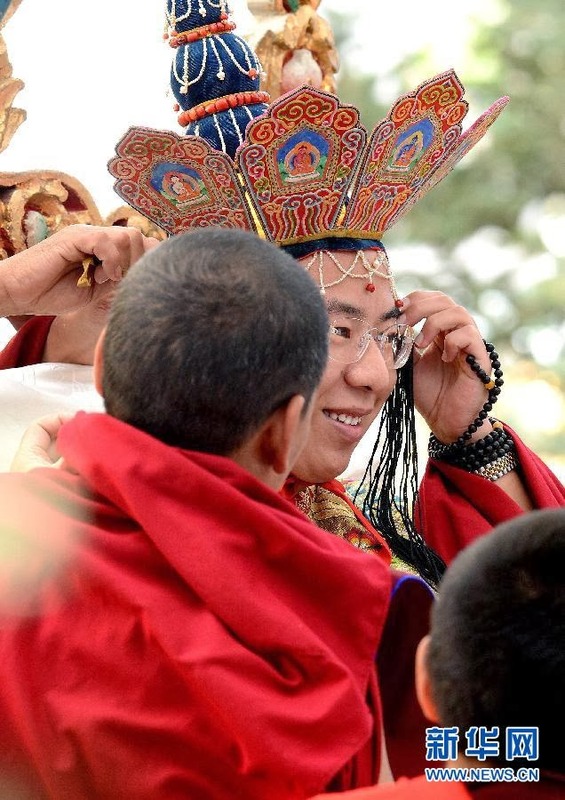 Guo visited the Jokhang Temple and the Drepung Monastery where he asked "the police to safeguard the legal rights of Buddhist monks and nuns, religious believers and tourists from China and abroad." He must have now reported to Xi Jinping and Yu Zhengsheng, in charge of Tibetans affairs in the Party. What will the new leadership decide? How long can the situation continue to deteriorate? The leadership may to have to discuss the Tibetan issue during the Third Plenum next month. The time has perhaps come for the Communist authorities to think 'out of the box', and why not, use the services of the Dalai Lama to pacify Tibet. This would be a great leap forward for Beijing. Popular rejection of China’s compulsory flag-flying campaign has led to more detention and disappearances in Diru (Ch: Biru) County in Nagchu (Ch: Nagqu) Prefecture, Tibet Autonomous Region (TAR). According to information received by TCHRD, four known Tibetans have been detained in the past weeks leading to their subsequent disappearances in police custody. 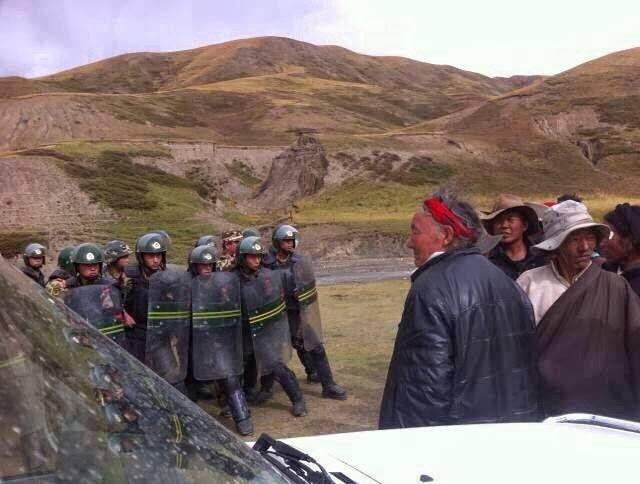 Meanwhile, crackdown on Tibetans of Nagchu origin beyond the borders of TAR has been reported by TCHRD sources. 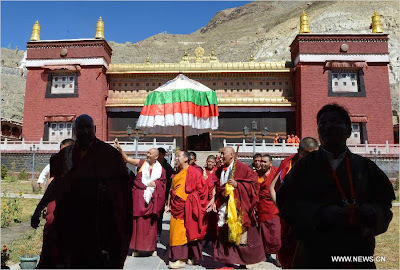 Earlier his month, two Tibetan monks who fled Nagchu to exile reported heightened repression on monks and nuns who leave their domicile in Nagchu to continue their higher studies in Tibetan Buddhism in Tibetans areas of Kham and Amdo outside TAR. In Lhasa, kms, Tibetans from Nagchu, particularly Diru, have been put under 24-hour surveillance. In Lhasa, on 17 October 2013, Chinese police arrested two monks, Jampa Lekshay and Kelnam (probably a shortened form of Kelsang Namgyal), both 20 years old from Shugding Monastery in Yarding Village in Shamchu Township, Diru County. They were arrested on charges of ‘leaking state secrets’, a month after their arrival in Lhasa. 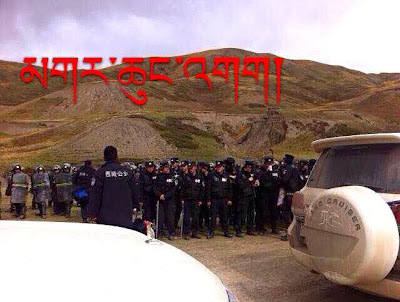 Authorities continue to detain and disappear Tibetans in Diru County as all communication channels remain blocked making it difficult to assess the exact number of arrests and disappearances, although sources with contacts in Nagchu believe the number is much higher than being reported. 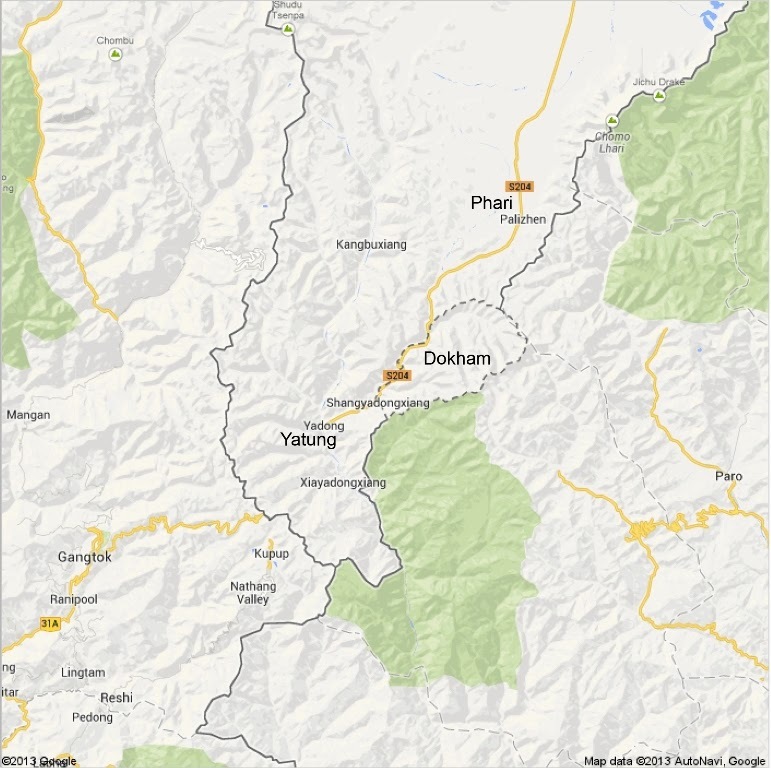 More than two weeks after police firing in Dathang Township, no information is available on the total number of the dead and the injured. On 15 October 2013, a Tibetan man, Lhundup, 19, and a nun, Jampa, 20, were arrested on charges of ‘revealing state secrets through mobile phones and other means,’ according to sources. Both of them hail from Yarding Village in Shamchu Township, Diru. Following their arrests, the heads of Yarding Village, Achung and Abu Namkha, along with other Tibetans visited the County government office to call for the release of Lhundup and Jampa. Local Tibetans appealed that Lhundup and Jampa had not committed any crimes and pled for their innocence. However, the appeal was rejected. As a result, no relative has been allowed to meet the detained so far. The authorities have failed to reveal any information on their whereabouts and their current medical condition. This information is critical to ascertain their well-being as beatings and torture are rampant during police interrogations and investigation in Tibet. Sources also report that a Tibetan mother of three girls continue to remain in secret detention since her sudden detention on 11 October 2013 near the gate of Dejang guesthouse in Nagchu. Kelsang, a housewife and a devoted mother of three young girls, was detained for ‘keeping the pictures of Dalai Lama and Tibetan patriotic songs on her mobile phone.’ There are conflicting accounts on the exact details of her charges although multiple sources confirm she was indeed arrested and the pictures of the Dalai Lama was the major factor that led to her arrest. Kelsang’s relatives have approached relevant local authorities to request information about her whereabouts and medical condition. So far, the authorities have refused to divulge any information saying information would be given “after the case is resolved”. Kelsang hails from Village no. 1 located in Tsala Township in Diru County. Her daughters are Tashi Lhamo, 4, Minyal Lhamo, 9 and Sither Tsetso, 11. Since September 2013, tension between Tibetans and Chinese authorities in Diru County have flared as repressive mass propaganda and surveillance campaigns are being implemented in extreme violation of fundamental human rights and freedoms of Tibetans. 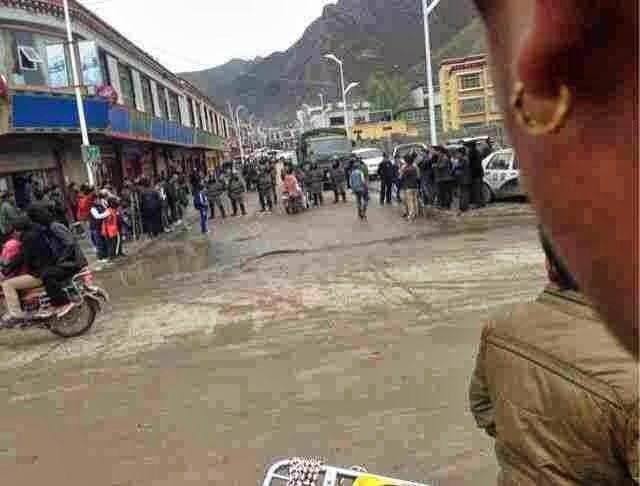 In recent weeks, the crackdown on local protests against compulsory Chinese flag-flying campaign in Mowa Village in Diru County has not only spread to Lhasa but also Tibetans areas of Amdo and Kham outside TAR. 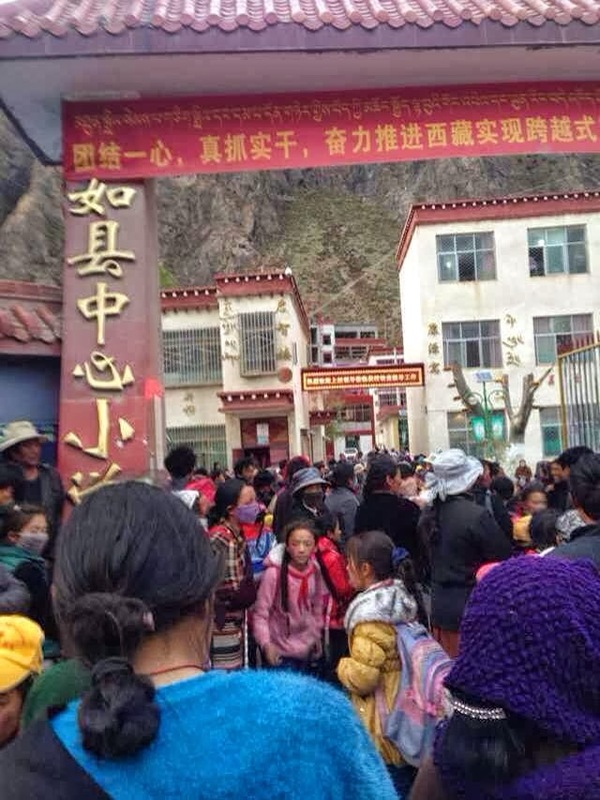 Sources report that monks and nuns from Diru studying in the monasteries of Kham and Amdo are being detained and questioned. New information on the detained Tibetan writer Tsultrim Gyaltsen aka Shogdril confirms that he was detained a few days after he publicly disagreed with speeches given by TAR deputy party secretary Wu Yingjie and TAR Party Committee member and Nagchu Prefecture Party Secretary Dothog on 28 September 2013 when more than 1,000 Tibetans staged a 24-hour hunger strike in front of the County government office calling for the release of 40 Tibetans who had been detained for protesting the crackdown in Mowa Village. Sources told TCHRD that the young writer openly asked questions and cited Chinese legal provisions in criticising the violent crackdown in Diru County. Sources quote local eyewitnesses as saying that Wu and Dothog did not react negatively, instead they pretended to commiserate with him. His sudden arrest a few days later has caught everyone close to him by surprise. Rather than acknowledging policy failures, the Chinese government continues to launch violent crackdown on Tibetans, who are being arrested and disappeared on spurious charges of ‘revealing state secrets,’ violating both the principles of the Chinese Constitution and the Universal Declaration of Human Rights. Why to go to China now? Why is Prime Minister Manmohan Singh heading towards China? I am unable to answer this question; in fact, there is no economic, diplomatic or strategic logic. Of course, it is said that he would like ‘to prioritize investment and business by easing norms for business and tourist visas’ as well as reduce border tensions. But is the timing right? ‘Business’ was the objective of Premier Li Keqiang when he visited Delhi in May. But when Chinese talk about business, they talk about trading from China to India. Mr. Li charmed everybody; he spoke of the Three Idiots, a film that his daughter ‘forced’ him to see, the Indian establishment (and media) melted: “The guy is really nice; he loves Indian movies”. Further, he chose to eat vegetarian food at his Indian counterpart’s banquet. Wow, here is a Chinese leader who is different; he deeply respects our customs; he likes India. At that time one of the main issues between India and China was the trade imbalance. Both countries had fixed an ambitious target of US$ 100 billion as the trade turnover by 2015. Last financial year, India's exports to China reached only $ 13.52 billion while its imports were $ 54.3 billion. A trade deficit of $ 40.78 billion is not paltry! The Times of India then reported that the companies represented in Li Keqiang’s business delegation ‘seem bent on selling instead of buying in the Indian market’. The question is: has this changed? Let us put the question differently, can a new visit change this? The Prime Minister is said to be keen on ‘increasing the tenure of business visas [for Chinese] to one year from the current six months with multi-entry provision and ensuring home ministry security clearance within 30 days for project visas’. How inviting more Chinese companies to set up shop in India will help to reduce the trade imbalance is a mystery. The Times of India commented: “The emphasis is significant as security concerns dog Chinese investments in several sectors like telecom”. The relaxation of the visa policy for Chinese nationals will not solve the security issues, further it could only aggravate the trade imbalance. It sounds like India is trying to be nice to China which again issued ‘stapled’ visas to two Arunachali archers on their way to an international competition to Yunnan; this is called the Gujral doctrine, the nastier you are with me, the nicer I will be with you. One knows where the infamous ‘doctrine’ led India in the past. The current reasoning of the Government is that easier visa rules could only help larger exchanges of delegates attending academic or business meetings and conferences. But reciprocity is not guaranteed. You will say that it is the beauty of the ‘doctrine’! Further, despite warnings from all sides, the Prime Minister is dead bent on signing a Border Defence Cooperation Agreement (BDCA) during his three-day visit to China, starting from October 22. Some babus in South Block may have concocted a new Agreement (in what will it be different from the 1993, 1996, 2005 and 2012 agreements nobody knows), which could be shown by the PMO as a justification for the visit. But will China be more sincere in the implementation of the new agreement than they have been for the previous ones? Another question, has India done her home work? Probably not. But, the Chinese have done theirs. The Chinese Defence Minister, General Chang Wanquan has just visited the Xinjiang Military District dealing with the Aksai Chin area and India's border in Ladakh. According to Xinhua, the Minister "called for a strengthened border and national defense in northwest China's Xinjiang." He spent an entire week on an 'inspection tour' of the region. Can you imagine Mr. Antony spending a week in Arunachal and visiting the forward posts? One can always argue that it is impossible; he would have to walk for too many days, as India has no roads there. General Chang took the time to visit military units "to further consolidate border defense and cast a wall of copper and steel in the frontier." What does it mean for India? Just that China will be ready for any eventuality and the PLA will maintain its pro-active posture in the area. The Chinese Defence Minister told the military units "to lay a solid basis for Xinjiang's long-term peace and stability by consolidating political power in grassroots governments and stepping up the fight against encroachment, separatist and terrorist activities." Apart from the border with India, the Xinjiang Military District has to deal with the restive local Uyghurs who are, like the Tibetans, resentful of the 'ethnic' policies imposed by Beijing. 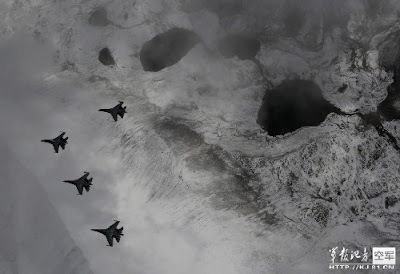 Regarding the border with India, Xinhua reported: "Military units were told to put border and national defense into prominent place and contribute to the consolidation of the defense in China's borders." Interestingly, General Wang asked the local commanders to take 'initiatives in operations'. Ominous words for India; but nobody seems to be worried on this side of the border. Xinhua said: "The minister demanded military officers to strengthen strategic thinking, carry forward construction projects as well as take initiatives (in operations)." One wishes the local Indian commanders would sometimes have the same opportunity to 'take initiatives'. The Cabinet Committee on Security is said to have discussed the border pact, whose objective is "to prevent face-offs between the troops of the two countries along the over 4,000 km disputed Line of Actual Control (LAC)." Will it really prevent anything? I can bet that it will not. In any case a point is certain, the Chinese have done their home work. The Chinese Defence Minister, General Chang Wanquan visited the Xinjiang Military District dealing with the Aksai Chin area and India's border in Ladakh. According to Xinhua, the Minister "called for a strengthened border and national defense in northwest China's Xinjiang." He spent an entire week on an 'inspection tour' of the region. Can you imagine AK Antony spending a week in Arunachal and visiting the forward posts? One can always argue that it is impossible, he would have to walk too much, as India has no road there. General Chang took the time to visit military units "to further consolidate border defense and cast a wall of copper and steel in the frontier." Just that China will be ready to any eventuality and the PLA will maintain its pro-active posture in the area. 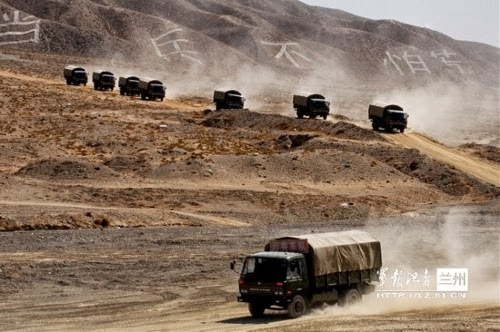 The Defence Minister told the military units "to lay a solid basis for Xinjiang's long-term peace and stability by consolidating political power in grassroots governments and stepping up the fight against encroachment, separatist and terrorist activities." Apart from the border with India, the Xinjiang Military District has to deal with the restive local Uyghurs who are resentful of the 'ethnic' policies imposed by Beijing. 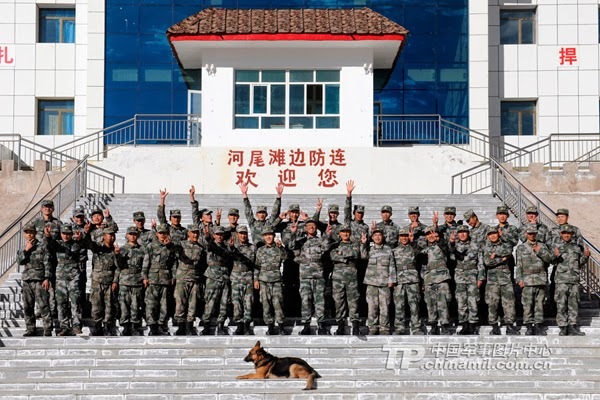 Wang explained to the Chinese troops that "Xinjiang's stability was of great significance to safeguarding national unity, state security and the country's social stability." And of course, the usual standing order, the PLA is "required to operate under the instructions of the Communist Party of China Central Committee, the Central Military Commission (CMC) and CMC Chairman Xi Jinping". Is the PLA sometime not listening to Chairman Xi? Not impossible! Interestingly, General Wang asked the local commanders to take 'initiatives in operations'. It is quite ominous for India; but nobody seems to be worried on this side of the border; nobody is even probably aware. 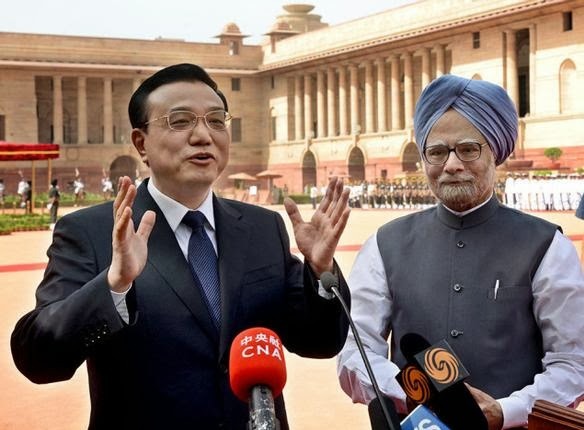 In the meantime, the Indian press reported that India and China are expected to sign Border Defence Cooperation Agreement (BDCA) during Prime Minister Manmohan Singh's three-day visit to China starting from October 22. Apparently, the Cabinet Committee on Security will today discuss the border pact, whose objective is "to prevent face-offs between the troops of the two countries along the over 4,000 km disputed Line of Actual Control (LAC)." Will it really prevent anything? Probably not. My article Chinese incursions: Bhutan suffers alongside India is posted on NitiCentral. While it is difficult to ascertain the details of the RAW report, it is an open secret that China has been very active on Bhutan borders. On August 9, Kuensel, a Bhutanese publication, reported that the Indian National Security Advisor (NSA) Shivshankar Menon arrived in Thimbu to ‘congratulate’ the new Prime Minister Tshering Tobgay after the latter assumed office. Tobgay was indeed happy to host Menon in Bhutan; Delhi had just promised some 5,000 crore rupees to assist the implementation of Bhutan’s 11th Plan and its Economic Stimulus Plan. However, oh surprise, Shivshankar Menon was accompanied by the new Indian Foreign Secretary, Ms Sujatha Singh. Why this ‘double’ visit? The NSA does not usually travel with the Foreign Secretary. Indeed, there was more than the usual patting. It soon became clear that the NSA’s main purpose was to advise the Bhutanese government on how to handle border talks with China. The 21st round of boundary talks between Bhutan’s foreign minister, Rinzim Dorje and the Chinese vice-minister in the Ministry of Foreign Affairs was to be held a couple of weeks later. This made Delhi nervous. These border talks have indeed serious strategic implications for India’s security and Delhi’s own negotiations with China probably needed to be ‘synchronized' with Thimpu. Delhi was particularly anxious after Thimbu had decided, during a previous round of talks with China, to have a joint technical field survey in one of the disputed areas in the central sector (eventually, the 21st Sino-Bhutan border talks held in Thimphu on August 22 agreed to conduct the joint survey of the 495 sqkm in the Pasamlung area, north of Bumthang). Another claim by China, the Doklam plateau is adjacent to the hyper-strategic Chumbi valley. That is the real nightmare for India. 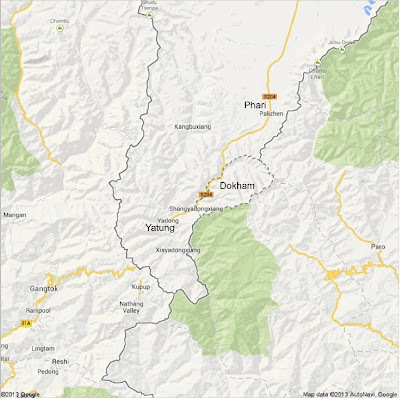 The Global Times’ article alleged that Indian ambassador to Bhutan VP Haran followed a ‘carrot-and-stick’ policy and ‘played a big role’ in the victory of the opposition Peace and Democratic Party (PDP) over the Druk Phuensum Tshogpa (DPT). It is indeed a serious issue for India. Even if India’s special influence over Bhutan is acknowledged by China, New Delhi needs to keep a tab on the Sino-Bhutanese negotiations, which could definitively impact the Sino-Indian talks. Though China and Bhutan do not have direct diplomatic relations, last year Jigme Thinley, the then Bhutanese PM met with Chinese premier Wen Jiabao on the sidelines of a United Nations summit in Rio, establishing a first formal contact. Historically, during the 1962 Sino-Indian border war, Beijing was not too happy when the Bhutanese authorities permitted some Indian troops to retreat through southeastern Bhutan. Though Bhutan formally has maintained a policy of neutrality, during the following years, Thimphu quietly expanded its economic ties with India. In the 1970s, several incidents of cross-border intrusions by Chinese soldiers as well as Tibetan herders were reported and when Thimphu and New Delhi protested against the incursions into Bhutan, Beijing ignored the Indian protest, responding to the Bhutanese complain only. In 1996, China offered a package deal to Bhutan: Beijing was ready to renounce its claim over the 495 sq. kms of disputed land in the Pasamlung and Jakarlung valleys in exchange for the Doklam Plateau, a smaller track of disputed land measuring a total of 269 sq. kms located in the Northwestern part of Haa District. The Doklam Plateau is extremely close to India’s ‘chicken neck’ area (The Chumbi Valley) and the Siliguri corridor connecting the Northeast to the rest of the country. Since then, talks are going on. In 1998, China signed a peace agreement with Bhutan to ‘maintain peace and tranquility’ on the Bhutan-China border. For the Bhutanese, it was a de facto recognition of their territorial integrity and independence. The ‘passage of time’ has shown that China was an unreliable horse, not only the PLA has intruded in several areas of India and Bhutan, but it has also built important infrastructure, such as the road from Yatung to Phari in the Chumbi Valley cutting across the Doklam Plateau. The Chinese engineers have also built traversal roads and set up a communication network within the disputed area. How to dislodge the Chinese is not an easy proposition. By grabbing the Doklam Plateau, Beijing considerably enlarged the Chumbi valley and its access to Sikkim and Siliguri; let us not forget that the Siliguri corridor is one of India's most critical areas along the Sino-Indian border. Let us hope that Delhi will keep watching and preserve its vital interests. 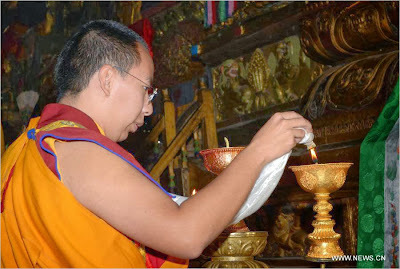 Xinhua reported yesterday that the (Chinese) 'Panchen Lama concluded [his] religious activities in Tibet'. 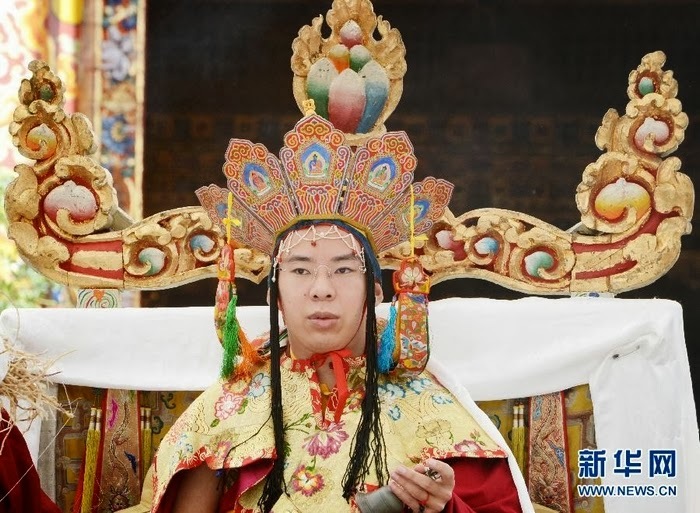 Quoting sources in the regional [Lhasa] government, the official news agency said: "The 11th Panchen Lama, Bainqen Erdini Qoigyijabu [Gyaltsen Norbu] concluded his religious activities in southwest China's Tibet Autonomous Region." The report continued: "The 23-year-old Panchen Lama, one of the two most revered living Buddhas in Tibetan Buddhism, has performed religious rituals, including sutra interpretations and giving blessings, for thousands of Tibetan Buddhists at several monasteries in the region since August 27." Guess who is the other most revered 'Living Buddha' in Tibetan Buddhism? Beijing does not like to write his name or even hear his name, though his status seems to be acknowledged. Even more interesting, Xinhua reveals: "The Panchen Lama lived in seclusion at the Zhaxi Lhunbo Lamasery [Tashilhunpo monastery] in Xigaze [Shigatse] Prefecture, the traditional residence of reincarnated Panchen Lamas, from Sept. 12 to Oct. 7." Why in 'seclusion' when he is on his 'annual inspection tour'? According to earlier reports, Gyaltsen Norbu was staying at the Dechen Phodang, the 'summer' residence of the Panchen Lamas, outside the main Tashilhunpo monastery. 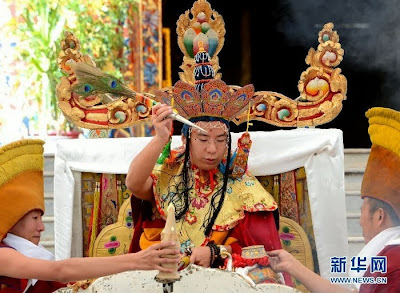 The caption of a series of photos of Gyaltsen Norbu performing a puja was: "Photo taken on October 8th, 2013, shows that the 11th Panchen Lama, Bainqen Erdini Qoigyijabu, a spiritual leader of Tibetan Buddhism, leads the fire puja in Deqing Gesang Phodrang [Dechen Phodang], Shigatze of Tibet Autonomous Region. Fire puja, a special support ritual based on Tibetan Buddhism, is used to pray for peace or release souls from purgatory by burning tribute, grain, branch to support deities." Without commenting on the 'souls released from the purgatory', the Chinese-selected Panchen Lama does not seem to be surrounded by many monks. Only a few attendants appear on the pictures. Xinhua reminds us: "As a member of the Standing Committee of the Chinese People's Political Consultative Conference National Committee, China's top political advisory body, the Panchen Lama also held discussions with members of Tibetan religious circles and visited local farmers and schools to gather their opinions on social and religious issues." No photos were published of these meetings and encounters. Did they really take place? 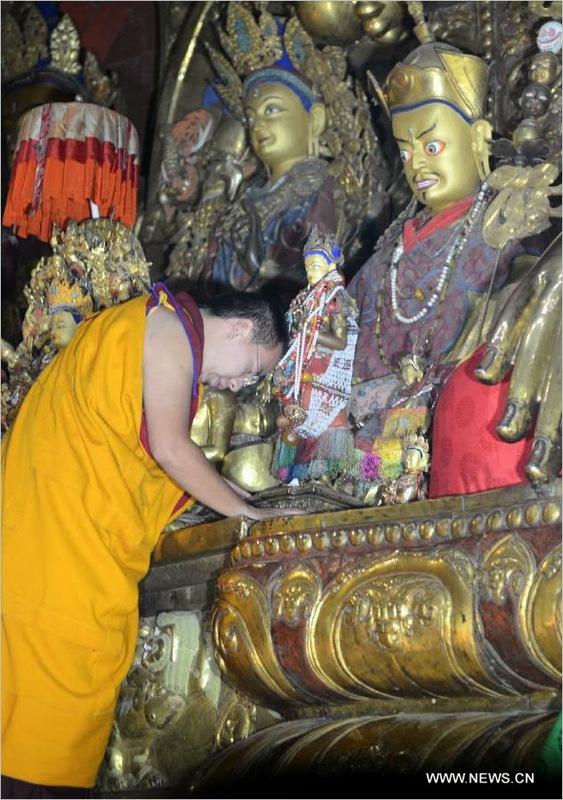 On October 10, Gyaltsen Norbu visited the Sakya monastery. Here again, the crowds seem sparse, not to say non existent. Apart from the fact that the Chinese news agencies informed us that Sakya was built in 1073 and 'as long enjoyed almost the same fame as the Dunhuang Grottoes for its large collection of Buddhist scriptures, valuable porcelain and vivid wall paintings', not much is said of the Lama's visit. He just looked at some palm-leaf manuscripts of Buddhist texts, he met a few devotees and 'worship' inside one of the temples. More interesting is this photo, the Sakya monastery looks deserted. Where are the crowds? The few people in the background look more like security agents, than religious followers. I had already reported Gyaltsen Norbu's other public appearance on this blog. It was at the end of August in the Jokhang. At that time, he had discreetly met with the TAR Party officials. This was not reported in the English media. The question is 'why such a low profile visit/inspection tour'? After all, Gyaltsen Norbu was supposed the main tool for the Chinese propaganda in Tibet. Remember the interview of Prof. Jin Wei of the Central Communist Party School published by a Hong Kong weekly. She said: "Under the current circumstances, there will be 'Twin Dalai Lamas', with one reincarnation recognized abroad and one domestically, leading to more complicated issues, having great impacts on the stability and security of the Tibetan region. If the 'Dalai Lama impasse' can be broken, we should fight to have the Dalai Lama reincarnation arise within the country. Although we can use 'Drawing Lots from the Golden Urn' to prevent the reincarnation from arising overseas, there is a historical precedent for Living Buddhas designating their own successors. We must use every effort to avoid the embarrassment of the 'Twin Panchen Lama' event." She admits that the 'Golden Urn' process was manipulated (this has been described in detail by Arjia Rinpoche, who participated in the 'ceremony'), but now, the carefully-selected Panchen Candidate seem not trustworthy for the Chinese authorities. After all, Gyaltsen Norbu is a Nagchu boy and if everything had worked as planned by the Party, he should have been the one to go and extinguish the fire in the restive Prefecture. He did not visit Nagchu because his visit would have probably made things worse for the Communist regime. In other words, the 'selection' process through the Golden Urn may reveal itself a complete flop for Beijing in a near future. It is probably why 'thinkers' such as Prof. Jin Wei have started thinking of other solutions. In the meantime, the Panchen Lama selected by the Dalai Lama remains under house arrest. On September 26 and 27 in Geneva, the UN Committee on the Rights of the Child reviewed China’s record, including in Tibet, as part of its compliance review under the UN Child Rights Convention. International Campaign for Tibet reported: "The Committee questioned the Chinese delegation on the whereabouts of Gedhun Choekyi Nyima, who was disappeared by Chinese authorities in 1995 after he was recognized by the Dalai Lama as the 11th Panchen Lama. The Committee asked if China’s contention that the Panchen Lama had been given higher education and living a happy life had been confirmed by an independent authority, as had already been asked by the Committee in 2005. The Chinese government refused to answer this question". One more embarrassment for Beijing and a tragic situation for Gedhun Choekyi Nyima. The Shenyang J-11 is a single-seat, twin-engine jet fighter based on the Soviet-designed Sukhoi Su-27. It is manufactured by the Shenyang Aircraft Corporation and operated by China's People's Liberation Army Air Force (PLAAF). The J-11/A is a fourth-generation jet fighter which, like the Russian Sukhoi, wants to be a direct competitor to US fourth generation fighters such as the F-15 Eagle and F-16 Fighting Falcon. 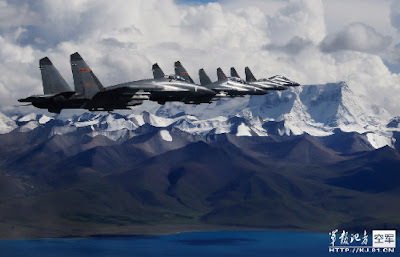 In 1995, China started to work on the J-11 after securing a $2.5 billion production agreement with Russia to build 200 Su-27SK aircraft using Russian-supplied kits. 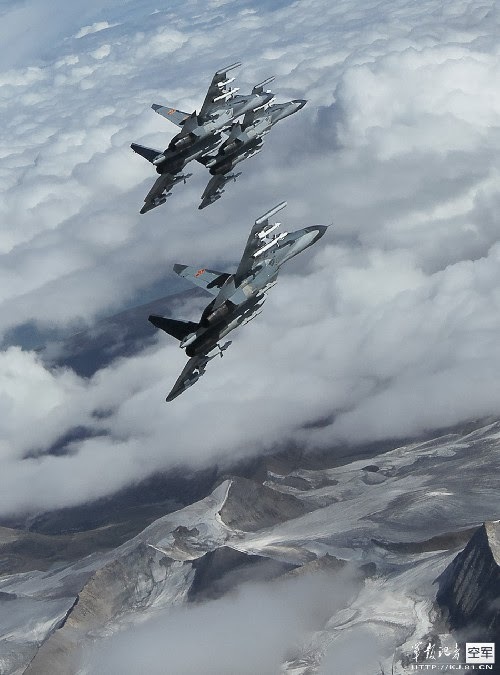 Under the terms of the agreement, these aircraft were to be fitted with Russian avionics, radars and engines. In 2004, Russian media reported that Shenyang co-production of the J-11 was stopped after only 100 planes had come out of the workshop. 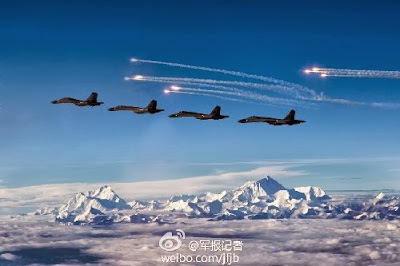 Experts had an indication, mid-2002 the PLAAF had leaked photos of an upgraded multi-role version of the J-11. Wikipedia says: "The indigenous J-11B variant incorporates various Chinese material modifications and upgrades to the airframe with improved manufacturing methods in addition to the inclusion of domestic Chinese technologies such as radar, avionics suites and weaponry,including anti-ship and PL-12 air-to-air missiles presumably for the role of a maritime strike aircraft. The alleged reason for the sudden stop in the production line of the J-11 was because it could no longer satisfy the PLAAF's requirements, due to elements such as the obsolete avionics and radar, which were structured for aerial missions." 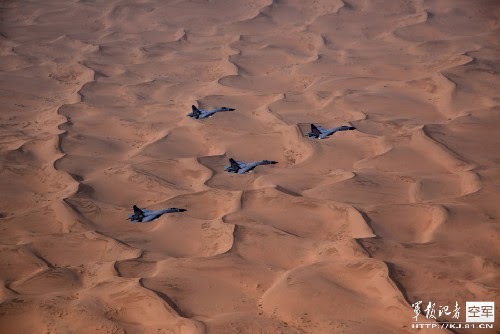 In 2009, Rosoboronexport's General Manager Anatoli Isaykin announced: "Russia is going to investigate the J-11B, as a Chinese copy of the Su-27 and Sukhoi Company is partaking in the process." In 2010, Rosoboronexport affirmed on their website that talks had started with the Chinese side, regarding the ongoing production of weapons that Russia considers as 'un-licenced'. Rosoboronexport expressed its concern over future sales of advanced Russian systems and components to China. 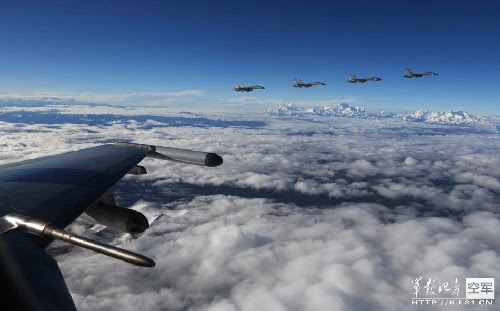 Further in March 2011, a joint Sino-Pakistani exercise, Shaheen 1, was conducted at a Pakistan Air Force (PAF) base. 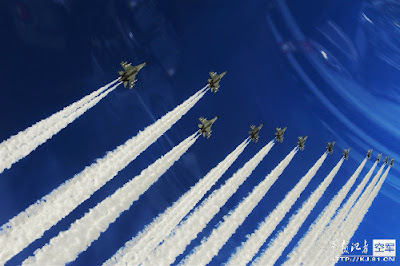 It involved several PLAAF aircrafts and personnel. Photos of Pakistani pilots inspecting planes looking like the Shenyang J-11B fighters appeared on the Internet. The exercise lasted for around 4 weeks and was the first time the PLAAF had deployed to and conducted 'operational' aerial maneuvers in Pakistan with the PAF. Was China trying to export the J-11 to its all-weather friends? 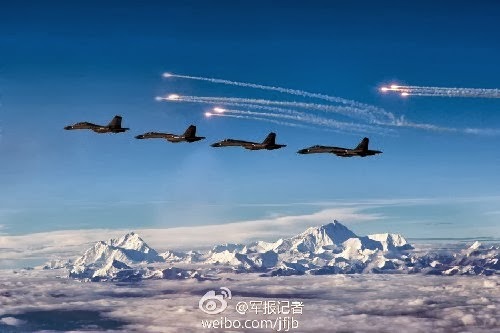 Now, the J-11 have been spotted in the Tibetan sky. The caption on the Chinese site is: "Four armed J-11 fighters patrol the Tibet Autonomous Region in southwest China"
A reader commented (see comment below) that the Shaheen II joint exercise between China and Pakistan were recently conducted in Xinjiang Militarily District of Lanzhou Military Area Command (military region). The Hetian airbase would have been used for the exercises. That is not far from the Daulat Beg Oldi and the Depsang Plain! Last May, Meng Jianzhu, a member of the all-powerful Communist Party’s Politburo, in-charge of the security in China visited Zhejiang Province. He spoke to the CCP’s cadres about developing the 'Fengqiao Experience'. Recently, The People’s Daily mentioned again the 'Fengqiao Experience', saying that it is worth being ‘popularized’. What is this Fengquiao Experience? Fengqiao is a town in Zhuji City in Zhejiang Province. According to The People’s Daily, in Fengquiao "the Party and government bear their respective responsibilities for definite work, relying on the masses, diffusing contradictions, safeguarding stability and promoting development to ensure that minor problems can be settled without going out of the village, major problems can be resolved without going out of the town and contradictions are not passed on to the leadership". The Party's conclusion is “the experience of Fengqiao is worth being summed up and popularized”. One can only agree, but what about Nagchu mentioned in my posting yesterday? The Fengqiao experience does not seem to have percolated that deep on the Tibetan plateau. Apparently, the cadres and the masses are not on the same length wave in Nagchu; they don’t agree on how to ‘develop’ the Prefecture. The new trail is simply not blazing in Nagchu. The repression against the masses in Nagchu is now extending its wings to Lhasa; the common men of Nagchu are now ‘monitored’ when they visit the capital Lhasa. An official notification mentions that police officers have to use secret codes for Diru County, Drachen County and Sog County of Nagchu Prefecture while sending information about individuals from these areas. 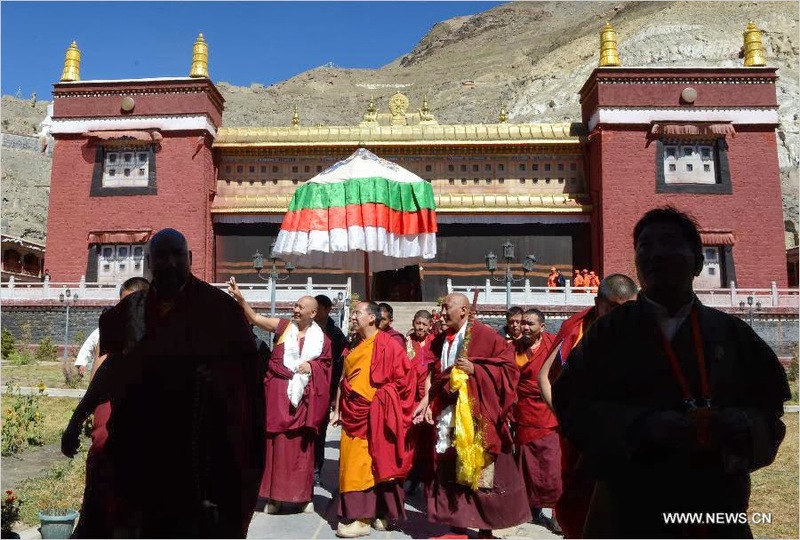 The ‘Nagchu Experience’ will bring Tibetans from Ngachu visiting Lhasa under 24-hour surveillance. 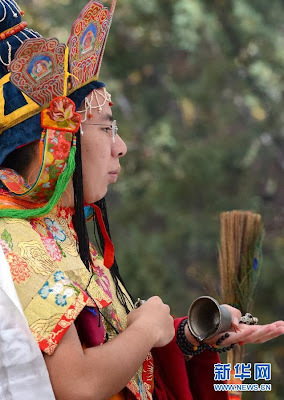 How to Use Secret Codes: When using secret codes [to identify Nagchu Tibetans], Nagchu men must be called “male tourists” while Nagchu women must be called “female tourists”. Likewise, secret code for Biru County is “A”; secret code for Suo County is “B”; and secret code for Bachen County is “C”. First, police checkpoints in the inner circle of Barkhor must keep track of Nagchu Tibetans in areas under their jurisdiction. The movement and activities of Nagchu Tibetans must be monitored all through their stay in this area. 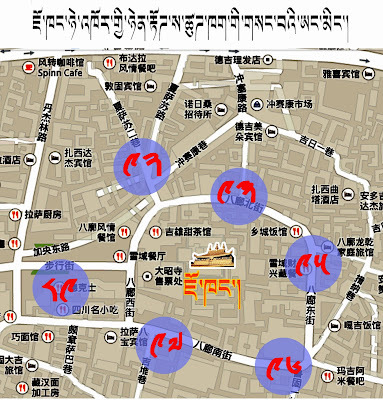 If [Nagchu Tibetans] leave this area for another, police officers in the previous area must inform a police checkpoint closest to the next area where they have entered. 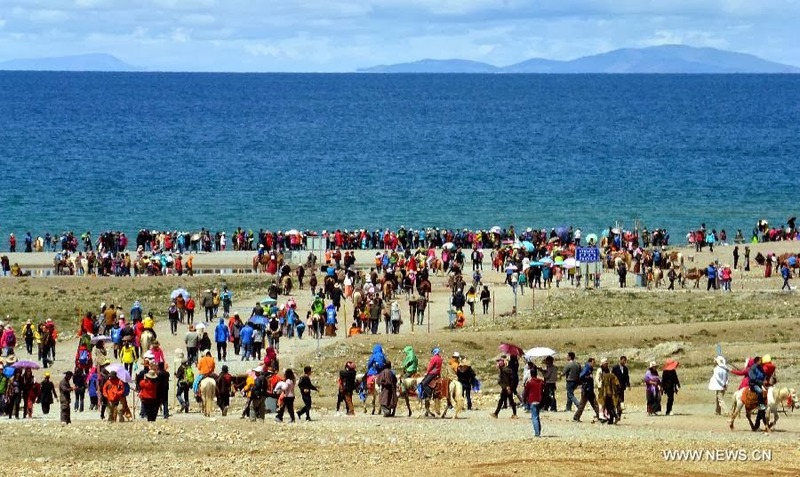 Second, security checkpoints located in the outer circuit of Barkhor must monitor the movement and activities of Nagchu Tibetans and share information through mobile handsets. Third, be careful when using secret codes through mobile handsets to monitor the above mentioned individuals. And suspicious persons must be subjected to thorough search and vigilance. This is called the ‘Nagchu Experience’. Can't a superpower like China find a better way to deal with its masses? And why can't the Chinese Panchen Lama (Gyaltsen Norbu). who is a native of the Lhari County in Nagchu uses this good offices to 'pacify' the situation? He was last seen in Shigatse, outside the Tashilhunpo monastery (in Dechen Phodang) performing special 'pujas for peace'. But he is probably himself 'monitored'. The case of Ngachu is interesting: despite regular 'inspection tours' of several high-level dignitaries of the Communist Party (including Yu Zhengsheng), the Prefecture is still boiling. Nagqu Prefecture is one of the seven prefectures of the Tibet Autonomous Region; it is the largest with an area of 450,537 km2 for a population of 400,000. The prefecture is divided into 11 counties with Nagchu Town as capital. As Nagqu is located on the Qinghai-Tibet railway line, Beijing plans to make of the prefecture, one of the main economic hubs on the Tibetan plateau. In the new dispensation in Beijing, Yu Zhengsheng, a member of the Standing Committee of the CCP's Political Bureau and Chairman of the CPPCC is the Party's strong man for Tibet, Xinjiang and Taiwan. In May 2013, Yu Zhengsheng chaired his first Central Tibet Work Coordination Small Group (known as Small Group on Tibet) in Beijing. This Group is responsible for implementing Beijing’s Tibet policy. Apart from the Central officials, the meeting of the Small Group on Tibet is said to have been attended by cadres from Gansu, Qinghai, Yunnan, Sichuan and the Tibetan Autonomous Region. Soon after the meeting, the Party Secretaries from these areas went back to their respective provinces and gave speeches on the importance of Yu’s instructions and comments. A few days later, Yu visited Xinjiang; from his declarations, one can guess what Yu told the Party cadres in Beijing. He called for greater efforts for improving people's living conditions, ‘promoting ethnic solidarity’ and ‘social harmony’; he also emphasized 'social stability'. 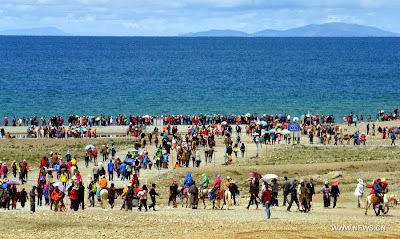 Unfortunately for Secretary Chen, the day he was returning to Lhasa, thousands of Tibetans gathered in Driru county (Chinese: Biru in Nagchu Prefecture). They met at a sacred Tibetan mountain to demonstrate against the Chinese government's planned mining projects in Driru county. The Tibet Post reported: “On May 24, 2013, over 1,000 trucks [probably cars] loaded more than 5,400 Tibetans from the four major areas, including Pekar, Nagshoe Phudha and Tsala gathered in Dathang town, near the sacred mountain in protest of the growing Chinese mining tensions in the county”. The mountain, called Lhachen Naglha Dzambha, is rich in mineral resources. It was said that the local Tibetans ultimately managed to stop the mining at the holy Mountain, though for days, situation was reported tense in the Driru county, on the protest site where the local authorities deployed a large number of paramilitary personnel, especially after two protesters Gonp and Abu are said to have died in a car accident on their way to the site. This was bad luck for Mr. Chen who had just come to preach 'stability'. This was however not the first time that such incident has happened. Last October, two Tibetan cousins Tsepo, 20 and Tenzin, 25, self-immolated in front of a school in Driru. Tibetans in exile told RFA that the cousins shouted slogans calling for freedom in Tibet and the return of Tibet's spiritual leader the Dalai Lama before setting themselves alight. They also pleaded for all Tibetans to be ‘united like brothers’. At that time, Lobsang Gyaltsen, who since then has become the head of the government in the TAR had stayed 2 weeks in the area to pacify the Tibetans. The Party's senior cadres' exhortations do not seem to work on the local population. This goes in parallel with the recurring looting of the underground wealth of Tibet. 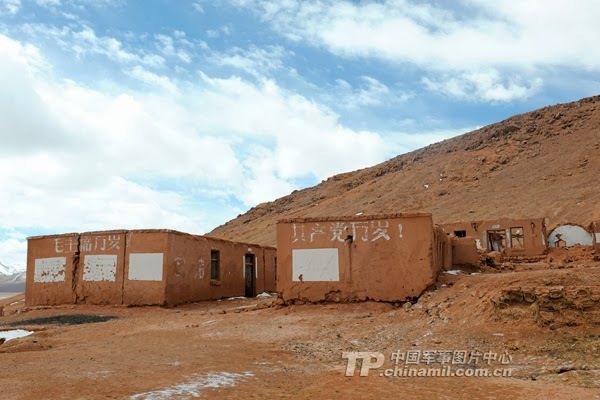 A website, Meltdown in Tibet highlighted the crucial role of the railway line: "Mining and mineral exploration have increased dramatically on the Tibetan Plateau since the 2006 arrival of the Golmud-Lhasa railway link, and due to government programs and promotion. Along with the large government and business controlled mines, small unregulated mining operations are popping up all over the plateau. Due to low salaries, minimal health and safety standards, and weak environmental laws, normally uneconomic mineral deposits can be mined profitably by Chinese companies. Corrupt officials are willing to cut costs even more." Retrospectively, the Chinese leaders must realize that it was a good investment to 'liberate' Tibet in 1950. After visiting Ganzi Tibetan Autonomous Prefecture (Kham) from January 6 to 8, 2013, Yu Zhengsheng, Chairman of Central Working Coordination Small Group on Tibet visited the former Amdo Province in early July 2013. In Gansu, Yu called "for lasting prosperity and stability in China's Tibetan regions by improving local livelihoods and fighting the 14th Dalai Lama clique." More importantly, from August 1 to 6, 2013, Yu Zhengsheng conducted an ‘inspection tour’ in the Tibetan Autonomous Region, particularly Lhasa and Ngachu; the most extraordinary was that nothing appeared in the Chinese (or the local) press before Yu was back in Beijing on August 6 evening. Outside China, it is difficult to believe that the official responsible for a region at the highest level of the government can stay for nearly one week in this region and the world would only know about it when he has left. Xinhua said that for Yu Zhengsheng, development remains 'fundamental and the key' to addressing all issues related to Tibet. Like Xi Jinping when he addressed the Tibetan delegation in March in Beijing, Yu spoke of “achieving leapfrog economic and social development in Tibet and long-term stability”. Nothing new, except that his words did not help calming down the situation. 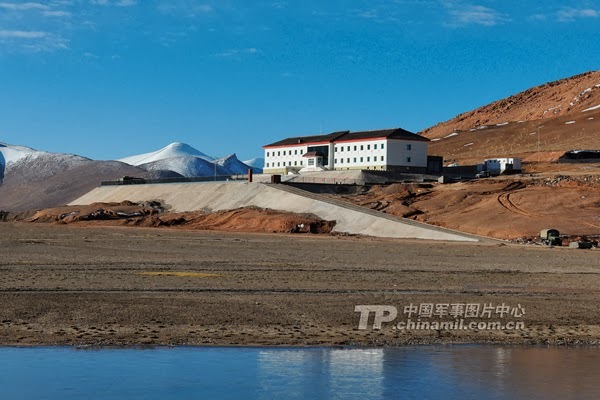 The 'secret' visit was however unusually long (6 days) and seemed to have focused on the way "to scientifically develop ideas for the development of Tibet, strengthen infrastructure construction and cultivate industries." In this context, it is interesting to have a look at the officials who accompanied Yu to understand the true objectives of this long visit. Zhang Yijiong, the Executive Vice Minister of the United Front Department. 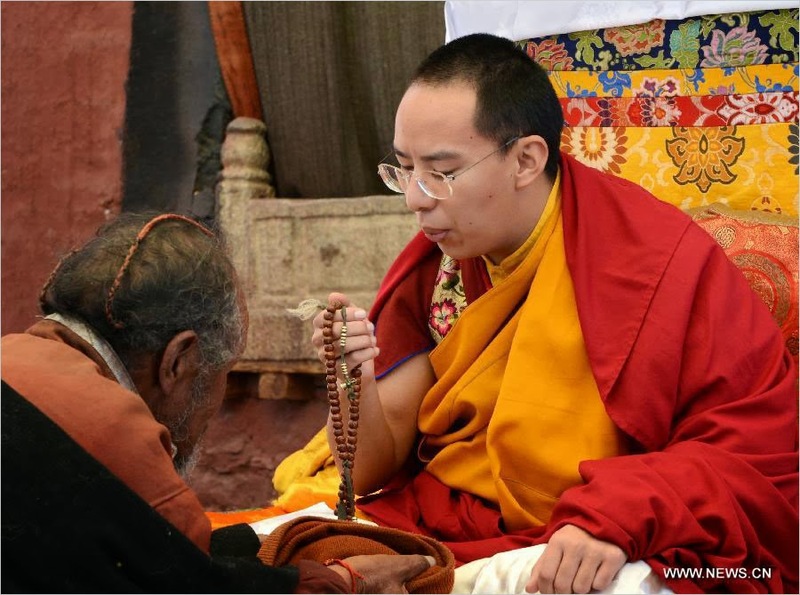 He stepped into the shoes of Zhu Weiqun and is ‘responsible for any future dialogue with Dharamsala. Du Ying, a Deputy Director of the State Development and Reform Commission, in other words, the Planning Commission. Sithar, a German-speaking Tibetan earlier posted in Europe, now working for the United Front Department. Weng Mengyong, a Vice Minister from the Transportation Ministry. His boss and minister, Yang Chuantang, used to be vice-chairman of the Tibet Autonomous Regional Government. Shuai Junqing, Vice-President of the State Grid Corporation of China who obviously accompanied Yu to study the feasibility of harnessing Tibet’s hydropower potential. Interestingly, despite this high-level visit and the ‘instructions’ given by the Central leadership, Diru, one of the main towns of Nagchu remain in turmoil. 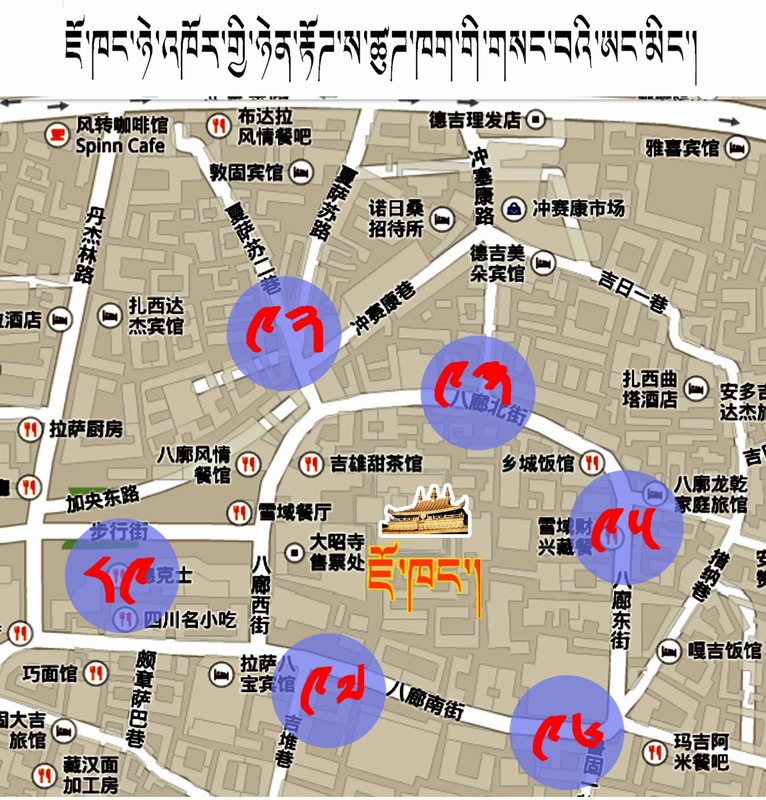 Early October 2013, The Tibetan Center for Human Rights and Democracy (TCHRD) reported that the People’s Armed Police had beaten and detained 40 Tibetans. The local government apparently used threats and intimidation tactics to enforce the ‘mass-line’ policy, a brain child of President Xi Jinping. Those who do not comply with these regulations are severally punished. 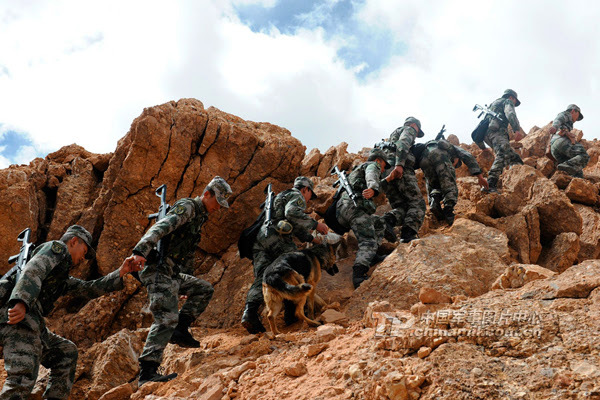 According to the TCHRD, on 28 September 2013, a serious confrontation occurred between the Chinese security forces and the local Tibetans in Mowa Village in Diru County. The Tibetans rebelled against the compulsory order (under the ‘Nine Must Haves’ campaign) to fly the five-starred red flags during the National Day celebrations. This led to an inevitable confrontation. The local authorities in Diru County announced that the Tibetans who refuse to comply with official rules would be punished; Tibetan protesters would have their children expelled from schools; their sick relatives would not receive medical care in hospitals; and they would not get licenses to harvest the famous Ophiocordyceps sinensis, an pricey caterpillar fungus used as an aphrodisiac in China. Since 10 September 2013, the Tibetan Autonomous Region authorities have sent some 18,000 Chinese cadres to Diru to intensify the party’s ‘mass line’ policy. These cadres have been conducting ‘patriotic education’ campaigns among local Tibetans, demanding them to pledge their ‘love and gratitude’ to the Party and the nation. The same day, Wu Yingjie, a TAR Deputy Party Secretary, who has been camping for weeks in Nagchu and Dortho, a Chinese born in Tibet who is Nagchu Prefecture Party Secretary (and TAR’s Standing Committee member) ordered the release of the 40 arrested Tibetans; they are however said to have sustained serious injuries after being severally beaten up. On September 29, 2013, another protest took place with 4,000 students of County Primary and Middle schools after they were informed about the threat to expel their classmates whose parents had participated in the earlier protests. The County Middle School has later been closed indefinitely. A day after the National Day (on October 2), local Tibetans in Diru County once again defied the security forces by putting up human blockades along the major highways which have been occupied by the security forces. They demonstrated against the annihilation of the Tibetan identity. To give an idea of the scale of the ‘monitoring’ of Tibetan activities, Xinhua recently admitted that 60,000 cadres had been stationed in ,5459 villages and 1,877 monastic institutions in TAR. According to TCHRD: “These cadres will either work as village level party secretary or as ‘work team’ cadres running political education campaigns and espionage activities under another controversial campaign known as ‘The Six Ones. It reminds many of the black day of the Cultural Revolution. What is strange is the despite the visits of so many dignitaries (including Yu Zhengsheng) the situation remains extremely volatile. My Article China dreams real, we only fantasise about Chinese innovations appears in The Pioneer today. The untimely death of Arun Kumar Bal, the Joint Secretary in the Ministry of Defence, negotiating the Medium Multi-Role Combat Aircraft (MMRCA) purchase, will delay further India’s military preparedness. It is now unlikely that Delhi will sign the ‘deal of the century’ for 126 Rafale fighters from Dassault Aviations during the current Fiscal Year 2013 (in other words before the legislative elections). On 4 October, during a press conference Air Chief Marshal N.A.K. Browne said that appointing Bal's successor and familiarizing the new appointee with the complexities of the MMRCA negotiations could take four months, if not longer. The same day, Jean-Yves Le Drian, the French Defence Minister remained optimistic, “it is logical that there should be in-depth technical and financial discussions”, he pointed out. This raises another related issue, the Chinese defence preparedness and India’s lack of it. Well, it is unfortunate that recent events on the ground did not reflect these high philosophical objectives. The South China Sea, the East China Sea as well as for the Himalayan borders between India and China, (whether it is in Ladakh, Uttarakhand or Arunachal Pradesh), have only witnessed tensions, not harmony. It is however certain that India has to learn something from China in terms of ‘dreaming’. But let us not fool ourselves, the true objective behind the Chinese Dream is to make of China a dominant, self-reliant superpower. 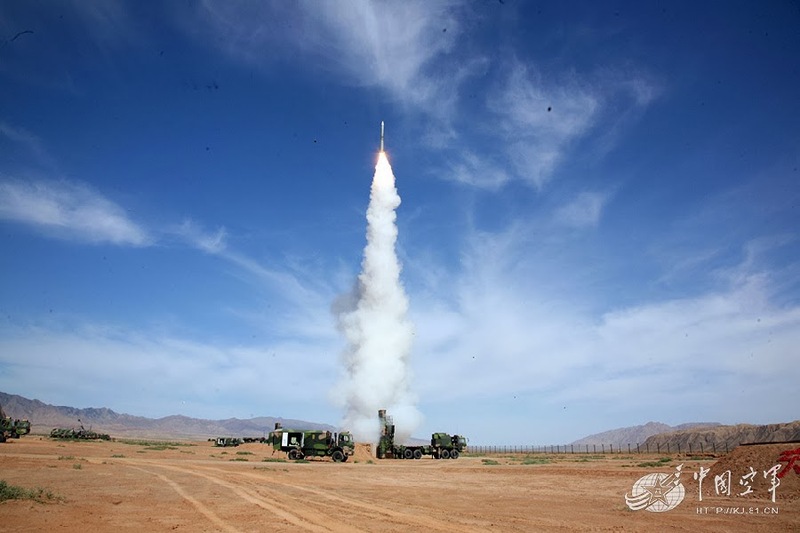 According to the Hong Kong newspaper, the report was prepared by the Chinese Academy of Sciences as a road map for breaking into the US dominance in domains as diverse as military, space, new materials, energy or agriculture. This particular field is usually considered to be the weakest in China's aviation sector. 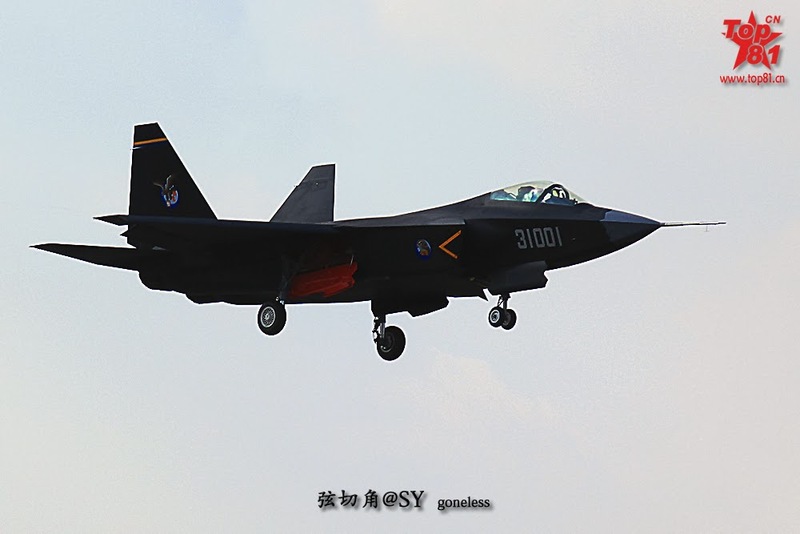 Beijing has had to rely on foreign imports (mainly from Russia) for its fighter jets. Already in March 1986, Beijing initiated a National High Technology Program (known as Program 863), which was launched to promote China’s high-tech development in key areas such as information technology, biology, aeronautics, automation, energy, materials and oceanography. Fifteen years later, another landmark document was published, “The National Medium- and Long-Term Plan for the Development of Science and Technology (2006-2020)”, also known as the MLP. The MLP describes itself as the ‘grand blueprint of science and technology development to bring about the great renaissance of the Chinese nation’. What ‘assimilation’ and ‘re-innovation’ means is well-known from those who deal with China. The report clearly states: “Importing technology without ‘transforming it into Chinese technology’ is not acceptable to China anymore”. Around the same time, the concept of Megaprojects was mooted. They have for objective to ‘assimilate and absorb’ advanced technologies imported from outside China to help the country to ‘develop a range of major equipment’. China has however a big problem: the rigidity of its bureaucracy functioning under the Communist Party. But Beijing is serious about tackling the babudom. A ‘Special Projects Office’ was established in 2007. It was the equivalent of an economic zone headquarters to make sure that the megaprojects would not be buried by the bureaucracy. The megaprojects office was to evaluate applications, approve funding and closely monitor the projects. The budget for each project was specific and identified both central and local government contributions; in other words, micromanagement. Can India achieve such a feat? Especially in the defence sector, India depends in a large measure on imports. For many analysts, the main reason is the lack of large-scale Research and Development (R&D). Take the example of HAL. A few months ago, Dassault Aviation, the constructor of the Rafale selected in the MMRCA project, expressed some doubts about the capacity of HAL to absorb French technology. Without even speaking about ‘innovations', can HAL ‘digest’ French technology? India is suffering from the same disease as China, but despite the bureaucratic deficiencies, the leadership in Beijing has a tremendous political will (and adequate economic means) to change this scenario in the years to come; it does not seem to be the case in India, at least under the current political equation. There is some truth in this, but the Confucian conformity added to the Communist bureaucracy and the supreme importance of the Party’s diktats, is today balanced by a tremendous will to ‘innovate’ in order to materialize the Chinese Dream. It is a great pity, because the ingredients (brains) are very much present. It is not the case in China, particularly in Beijing. The sky created havoc for the Chinese citizens at the end of the long Mid-Autumn Festival Holiday. Xinhua reported that Beijing had to close down expressways and airports, preventing the return of holiday goers at the end of the Golden Week. 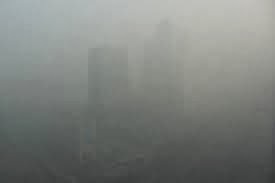 In Beijing, visibility was less than 1,000 meters in the city and even lower in the suburbs. On October 6, Beijing traffic police closed six interprovincial expressways, including roads to Harbin in the northeast, Shanghai to the south, Tianjin and Hebei Province. On the last day of China's National Holiday week, the smog forced lakhs of citizens to postpone their return. The weather forecast said that heavy fog would persist for a few days in the provinces of Hebei, Henan, Shaanxi, Shanxi, Shandong and Tianjin. Worse, the atmospheric condition kept pollutants in the air. The US embassy announced that the air quality indexes “have averaged over 300 in the 24-hour period beginning at 8 pm on October 4, and were over 400 overnight”. The embassy uses the norms of the US Environmental Protection Agency to monitor the pollution; if the index level goes above 301, it is considered hazardous, ‘all physical activities outdoors’ should be avoided. Well, there were some outdoors activities around the Chinese capital. In China as elsewhere, sport is business! The Reignwood Classic being the first LPGA tournament in China, the show had to go on. It was too important an event for the association which is banking on China’s rapidly expanding golf market. The biggest attraction in Beijing during the Mid-Autumn Festival Holiday was the newly arrived Big Yellow Duck by Florentijn Hofman, a Dutch artist. It attracted over 300,000 visitors to Beijing’s Summer Palace, though many clicked only blurred images of the Duck. In the midst of the holidays, the Chinese Government announced that it will ban new coal-fired power plants in three key industrial regions around Beijing, Shanghai and Guangzhou in order to combat air pollution. The State Council, China’s Cabinet, decided to cut coal’s share of the country’s total primary energy use to below 65 percent by 2017 and increase the share of nuclear power, natural gas and renewable energy. The State Council admitted the country’s air pollution level was ‘grim’ and was ‘harming people’s health and affecting social harmony and stability’. ‘Affecting stability’ will force the Government to move fast. Beijing would now like to cut the density of fine particle matter in Beijing by 25 percent by 2017 (from 2012 levels) and by at least 10 percent in other big cities. The moral of the story is that there is no free meal, even in Communist China where ‘development’ has occurred at a break-neck pace for the past 3 decades. The Middle Kingdom is today paying the price for this rapid development. Is India watching? Could the great planners in Delhi learn a lesson from what is happening in the Middle Kingdom? Probably not! ‘Development’ at any cost is still the motto of these ‘Planners’. In the meantime, Cong Zhiyuan, researcher of the Qinghai-Tibet Plateau Research Institute of China Academy of Sciences explains that the area around the Namtso Lake is one of the cleanest on the globe. The Chinese loves to walk around the blue waters of the lake. But Mr. Chen has invited 15 million Chinese tourists on the Roof of the World, while mining companies continue to loot the mineral wealth of region. Does not Mr. Chen realize tourism and mining are two of the most polluting activities? There is no doubt the Tibet will soon follow the steps of the Mainland. How long will Chinese tourists continue to breathe freely and deeply on the Roof of the World? A few years perhaps, not more. Isn’t tragic? I have often written on this blog, 'dam is money'. Most of my comments referred to Arunachal Pradesh, but as my article Uncertain Happiness published in The Statesman on October 2 shows, the Land of Happiness, Bhutan is not exempted of the temptation of making money quickly. But Arunachal and Bhutan have not the monopoly on the 'dam is money' policy. Last week, The Hindu reported: "Sikkim could be in for a Goa-like scam of environmental violations with several hydroelectric projects coming up on the Teesta river basin without mandatory wildlife clearance, flouting Supreme Court orders, a team of the National Board of Wildlife (NBWL) has warned in a report to the Union Environment and Forests Ministry." Why to quote mining in Goa and not dams in Uttarakhand, Himachal and Arunachal? The NBWL is supposed to be the apex body on wildlife policy issues under the Wildlife Protection Act, headed by the Prime Minister. Why divert the attention of the public on Goa while the same process of flouting environment clearances occurs for most of the hydropower plants in the North-East? The court has mandated that all projects coming within 10 km of national parks and sanctuaries seek prior clearance from the board’s standing committee. After proponents of the NHPC’s 520-MW Teesta 4 applied for clearance, the board sent a team which found that the project would submerge forests in the eco-sensitive area of the Khangchendzonga National Park, besides causing other ecological damage. Worse still, the team found, private developers had already begun construction on several projects in the river basin, in the vicinity of protected wildlife areas, without mandatory clearances. Those coming up illegally are the Teesta III, Dik Chu, Panan, Tashiding and Ting-Ting hydroelectric projects, according to the team. The team members tried to elicit comprehensive information from State officials but were stonewalled and left to ascertain the facts for themselves. The NBWL noticed that in many cases, the river Teesta could practically run dry through a large part of its course in the State. A 'tragic consequence' of such large-scale diversion would be that between Teesta III and Teesta VI project sites most of the water would flow through the tunnels rather than in the actual course of the river. Apparently, the NBWL team has recommended a comprehensive review of all existing and proposed projects in the basin and a thorough investigation into the projects coming up illegally in Sikkim as well as immediate suspension of activity in the basin until the government thoroughly investigated the illegalities and looked into clearances for each project. What about the other basins? The NBWL should read the report Subansiri Basin Study – Another Chapter of Environment Subversion in Northeast prepared by the South Asia Network on Dams, Rivers and People, they will understand that it is not necessary to quote the mining in Goa, constructions without clearance are happening all over the North-East. Unfortunately for the Himalayan Kingdom, the transition from traditional temples to 'modern' ones is not smooth. 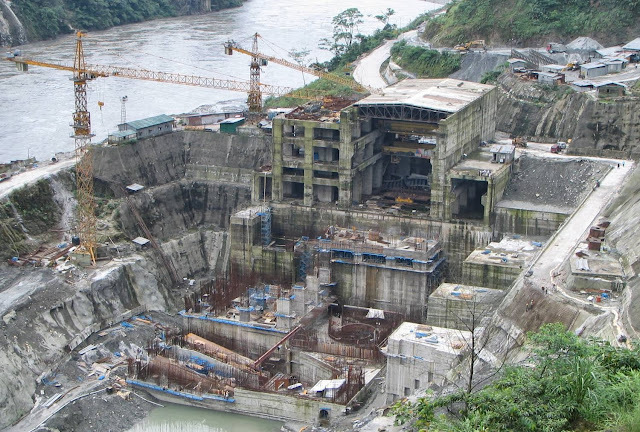 Since July this year, the right side of a mega project, the Punatsangchhu-I Hydroelectric Project (PHP-I), is sinking and huge rocks were found moving down towards the spot under excavation of the base of the dam, says Claude Arpi. In July 1954, in an oft-quoted speech, Jawaharlal Nehru likened large dams to ‘modern temples’. Bhutan, till recently famous for its high-perched gompas (monasteries) and dzongs (forts), has started building ‘modern temples’ to get richer. Unfortunately for the Himalayan Kingdom, the transition from traditional temples to ‘modern’ ones is not smooth. The PHPA-I is the first stage of an initiative taken by Bhutan and India in May 2008 to generate 10,000 MW of hydro electricity by 2020. Without going into the question of whether the project will bring more Happiness to Bhutan, for the moment, it brings more headaches, especially as another hydropower plant under construction also faces serious glitches. With a capacity of 1,200 MW, Punatsangchhu-I is the largest hydropower project under construction in Bhutan today. This joint project of the Royal Government of Bhutan (RGoB) and the Government of India is a run-of-the-river scheme, located on the left bank of the Punatsang chhu (river) in Wangduephodrang Dzongkhag in Western Bhutan. The project will utilize a 357 meter gravity fall on a stretch of 11 km of the river course. On 18 July, 2007, an agreement was signed between India and Bhutan for implementing the project, at a cost of Rs. 3,515 crore for an installed capacity of 1,095 MW (now revised to 1,200 MW). The project is to be funded by India ~ 40 per cent grant and 60 per cent loan (with a 0% interest p.a. repayable in 12 equated annual installments starting after the completion of the project). The project’s Zero-Date (date of start) is November 11, 2008. The concrete dam is 136 m high and 239 m long, at the top. While WAPCOS Ltd., a Government of India undertaking is the engineering design consultant, other organizations such as the Central Electricity Authority, the Central Water Commission, the Central Water & Power Research Station, the Central Soil & Materials Research Station, the Geological Survey of India and the Survey of India are also involved. The Main Civil Works (MCW) has been taken up by Larsen & Toubro while the Generating Plant & Equipment is the responsibility of BHEL. The project was originally scheduled to be completed in eight years (November 2016). The details show that whatever problems the project faces are clearly first and foremost India’s problems. According to Kuensel, the Bhutanese publication, the PHPA I needs another Rs 350 crore ‘to stabilise the hill’ which is ‘sinking’ on the right bank of the project’s dam site. On 20 September, the PHP Authority submitted a status report to the Bhutanese government in which the cost escalation is mentioned. There has been a threefold increase from the initial cost. Experts from the Central Water Commission (CWC) and the Geological Survey of India (GSI) recommended that the work should be completed by the end of the next monsoon, which practically means that the commissioning of the project will be delayed by a year. The experts had suggested ‘permanent strengthening measures’. Why did they not think about this before? Why were all the necessary tests and investigations not carried out earlier? It is a recurring question for this type of project. It was only after a first visit of ‘experts’ to the site (from July 28 to August), that some holes were drilled on the slide area and the dam site. Teams from the CWC and GSI are due to visit the site again between October 18 and 22. Four holes drilled outside the landslide, upstream of the dam site, indicated a shear or unstable zone underneath, while the two holes, each in the dam area, did not show any such sign, even at the deepest level of the dam. Between September 1 and 15, the Central Water and Power Research Station from Pune conducted electric resistivity tomography and seismic refraction. The outcome of the geo-physical studies, along five stretches of the hill from top to bottom of the slide would be available on September 30 and will determine the type of underground earth structures required. Once again, this should have been done years ago. Only the future will tell if it is true; history tells us that nothing is ‘permanent’ in the Himalayas; we have seen it recently in Uttarakhand. The other project, which also faces ‘unexpected’ difficulties, is the Mangdechhu Hydroelectric Project (MHP). In April 2010, the approved cost of the MHP was Rs. 3,382 crore, to be funded by India. Three years later, the tentative project cost has already reached Rs. 3,800 crore. But there is worse: the National Hydroelectric Power Corporation (NHPC), the Indian consultant, believes that the project should be shifted “to avoid shear zones or loose rocks encountered during the excavation”. According to an article in Kuensel, NHPC proposed that the locations should be moved some 40 meters away. The new proposal would delay the project by more than five months with an additional cost of at least Rs 5 crore. However, the paper’s investigations have found that the re-location of the powerhouse and the transformer cavern may not solve all the problems, just because the shear zone had stretched over a vast area. But in the months to come the project could encounter environmental issues. In a report compiled in 2009, the audit of Uttarakhand, compiled by the Controller-General of Accounts pointed out: “The State’s policy on hydropower projects is silent on the vital issue of maintaining downstream flow in the diversion reach”. The problem with these so-called environment-friendly projects is that the river dies between the point it is diverted into pipelines and the point the water rejoins the river; 11 km of deviation in the case of the PHP-I! Has this been taken into considerations or will it only be looked into ‘after’? It seems that Bhutan is trading Happiness for an uncertain ‘developed’ future. The website Chinamil.com.cn publishes a series of pictures of a Chinese 'post' in the Aksai Chin area, close to the Indian positions. The Chinese troops are obviously better off than their Indian opponents in Depsang Plains or Daulat Beg Oldi. 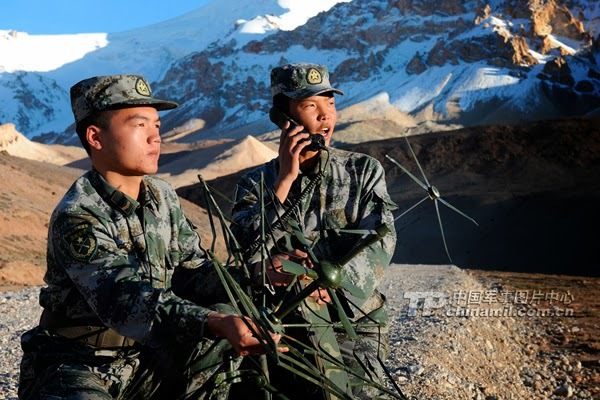 The caption of the photo is: "The Heweitan sentry post of a frontier defense regiment of the Xinjiang Military Command of the Chinese People’s Liberation Army (PLA), with an altitude of 5418 meters, tops the list of the PLA frontier defense sentry posts at high altitudes. The sentry post is situated at the middle section of the Karakorum Mountains, near the headstream of the Karakax [Karakash] River in the Xinjiang Uygur Autonomous Region." Where is the Karakash river located? The Karakash or Black Jade River, which flows in the Xinjiang Autonomous Region, originates from the Aksai Chin region. The river has its source at 19,000 feet (5,800 m) about 11 km northeast of Galwan Kangri peak in the Aksai Chin. 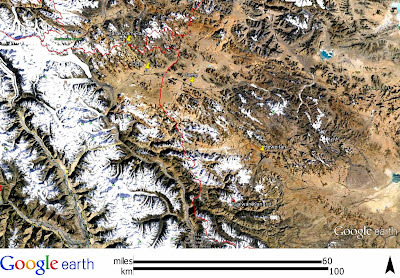 It flows north to Sumnal (15,540 ft), then turns sharply eastwards (skirting just north of the Soda Plains of Aksai Chin) until just beyond Palong Karpo, when it turns sharply northwestwards, and crosses into Xinjiang proper. It flows past the towns of Sumgal, Fotash, Gulbashem, until it reaches Xaidulla. The river then turns sharply northeastwards again near Xaidulla, and, after passing through Ali Nazar crosses the Kunlun mountain range near the Suget or Sanju Pass, passing east of Khotan, running parallel to the Yurungkash River, which it joins near Koxlax (some 200 km north of Khotan), from where it continues north as the Khotan River passing Piqanlik, and seasonally crossing the desert, joining the Tarim River at 42°29′N 80°56′E. The Karakash River is famous for its white and greenish jade (nephrite) carried as river boulders and pebbles toward Khotan, as does the nearby Yurungkash (or 'White Jade') River. This river jade originates from eroded mountain deposits of which the most famous one is near Gulbashen, in southwestern Xinjiang. The Karakash Valley was also a caravan road for the north-south trade between Yarkand (China) and Leh over the Karakoram Pass in Leh District of Jammu and Kashmir. Here are the photos of the Chinese 'post'. The captions are from the Chinese site.